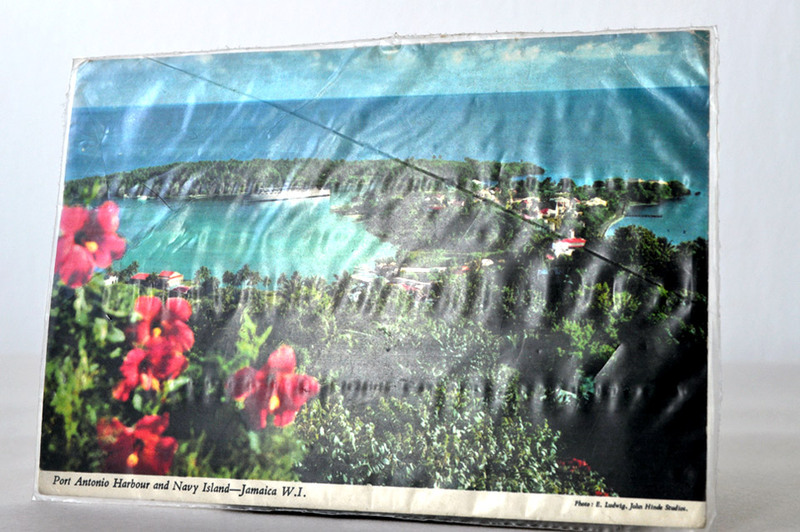 Vintage postcard from Port Antonio Harbour and Navy Island, Jamaica W.I. 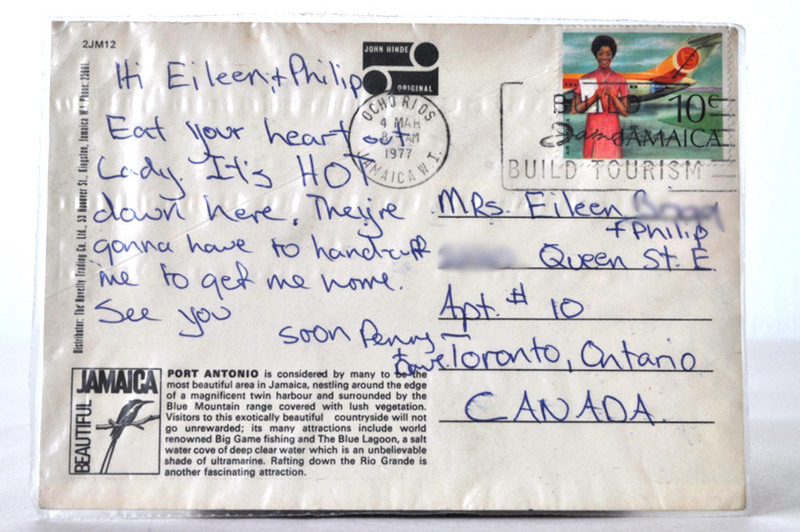 Sent on March 4th, 1977 to Eileen and Philip in Toronto, Canada. I blurred out their address just in case they still live there. The postcard is in a plastic envelope. It was like that when I bought it. I doubt it is archival plastic. I like the ripples. Status: All postcards are keep. It’s a question now of display. So I figured that Leonard Cohen must have done a song with the word postcard in it somewhere. But alas, if that is the case, I could not unearth it. I did discover he worked on a song called “There’s a Light in Jamaica” a tribute to Bob Marley, but that’s all I found. So the Alt title must stand without Mr. LC. As usual Untitled Alt Titles were originally inspired by John’s blog (read original title post ) and Richard’s posts at The Future is Papier Mache. I like the ripples too. “Archival” is one of the most overrated words in our language. 🙂 I’m not sure who decides what is vintage – in fact I know that vintage is incorrectly used (supposed to be only for wine) . I cast it in that category because I bought it a flea market! Digital postcard – love it. Thank you! !